As a young'n, Kenny Gregory had heads turning whenever he took flight. Eventually, the Kansas Jayhawks snatched up Gregory and his 45.5-inch vertical. 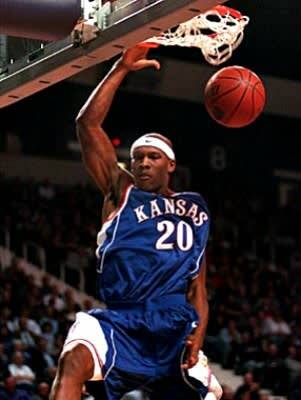 Unfortunately, though, his leaping ability never translated to the NBA game and he went undrafted in 2001. Nowadays, aside from his dunks, the only jumping he does is from one team to another as he's been consistently on the move, signing with clubs from France to Greece to the United States.